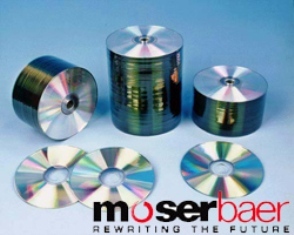 Moser Baer is not only a prominent company in India but also internationally as it is the world’s second largest optical storage media company. Moser Baer was established in 1983. Since the company’s establishment in 1983 Moser Baer has diversified out of the areas of optical storage media into areas including solar energy, entertainment, and consumer electronics. This diversification has led Moser Baer to penetrate more markets and to continue to grow and develop. Moser Baer is the leading technological company in India and their headquarters are located in New Delhi. Moser Baer has an annual production capacity of over three billion units and all of the products are manufactured locally in the four plants located in the suburbs of New Delhi. Moser Baer has the lowest cost manufacture of media in the world and the company strives to provide excellent customer care. Moser Baer has not only succeed in the domestic market but also expanded into the international market. Today, Moser Baer has a presence in over 82 countries worldwide as the company endeavours to create space in the international marketplace. Moser Baer’s international offices are located in Japan, the Netherlands, the United States and in the Middle East. It is also of note that Moser Baer shares are traded globally on various stock exchanges. As Moser Baer expands into the international market the company has maintained a strong presence in India both marketwise and in regards to the location of the production facilities. Despite the success Moser Baer has experienced the company continues to strive for development and continued improvement. Moser Baer first entered the home entertainment business in 2006 and has continued to develop since. The company is known for its strong research and development team, which led to Moser Baer being one of the first companies to market blue ray and high definition products. The Moser Baer research team is comprised of 75 researchers and scientists. Moser Baer has contributed to new technological standards as evidenced by their holding of over 40 patents in the field of optical media. Moser Baer has also strived to create products that are resistant to both human and environmental hazards. Moser Baer also ensures the production of quality products as a stringent production process exists and high quality standards are enforced. Moser Baer is not just a company focused on profit margins as the company also emphasizes a strong commitment to the employees. Moser Baer values teamwork, speed, integrity, and passion in their employees and strives to provide the same qualities in return to their employees. Moser Baer is an important employer in India as the company has over 7500 employees.